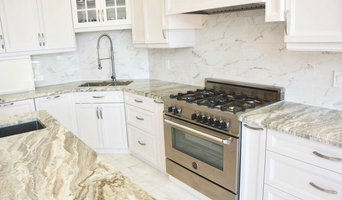 Kitchen Renovations The Kitchen Studio is a total kitchen renovation company specializing in the design, manufacture and outfitting of mid to high end residential kitchens. We are a family run business located east of Toronto. Our parent company, Primary Developments, have been serving the industry for almost 20 years with the provision of custom store fixtures and architectural millwork at a good value. 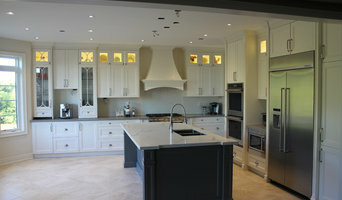 The Kitchen Studio is a product of the many years of success we have enjoyed being in the Millwork Industry. Our combined “70” years’ experience in Millwork and Custom Applications, typically makes us the first port of call for Architects, Designers, Contractors, Builders and Home Owners. Our on-site manufacturing plant allows us to maintain strict quality control procedures and ensure that our cabinets meet the highest industry standards for both material and finishes. The Kitchen Studio specializes in the following: •Custom Kitchens •Vanities •Entertainment Units •Home Offices •Countertops – Granite, Quartz, Corian and Laminates. We also offer Project Management service, coordinating all trades, such as Plumbing, Electrical, Drywall, Framing and Installation. We would like the opportunity to bid on your Kitchen Renovation and Millwork Projects. Please feel free to visit our new 4000sqft showroom and manufacturing plant, here in Oshawa. 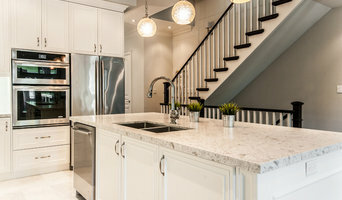 Or check us out on our website: www.thekitchenstudio.ca For inquires or questions pertaining to our Houzz account, please contact Michelle Bailey. To make an appointment to discuss your Kitchen renovation please call to speak with one of our designers. Walk-ins are always welcome! GTA Kitchen & Bath Design, Cabinets & More - 3X Best of Houzz Winner! At Absolute Cabinets, every part of the millwork is touched and worked on by experienced hands. 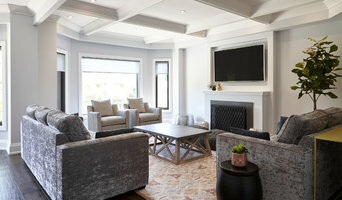 Founded by owner Jason Hustler, Hustler Design House provides clients with custom, distinctive furniture design. Hustler Design House has provided exceptional quality and craftsmanship for over 10 years to both residential and commercial clients. We take pride in our superior quality craftsmanship. There are no cookie-cutter products here. Every project is custom made and unique. At Hustler Design House, we take the time to meet with you at your home to go over the various options available to you. Whether you require a full custom kitchen, a bedroom set, or an elegant coffee table, we will work with you to design exactly what you envision. Every product is custom built to suit your unique needs, space, style, and budget. Have a look at our photo gallery to see what Hustler Design House can do for your home! VorobCraft specializes in custom kitchen cabinetry, helping clients bring their creative visions to life. By using state of the art equipment, quality materials, and outstanding service, we ensure precise walk-throughs, quick installations, and unbeatable customer satisfaction. Our services extend all throughout the Toronto area, providing you with certified, experienced, and insured professionals who can assist you with all your cabinetry.